Practice open water swimming for your upcoming triathlon! *No swimmers may enter the water after 10:30 a.m. Practice open water swimming for your upcoming triathlon! No instruction provided. Walk-up registration welcome. Participants will be able to swim the course as much as needed during the allotted time period. Red Cross Certified Lifeguards and The Woodlands Fire Department will be onsite. Ages 13 and up. Instructor: Sandra Sutherland; IM and USAT certified coach. This course educates triathletes in the fundamentals of completing a sprint-distance triathlon. Participants will learn swim, bike, run, transition techniques, and maps, as well as checklist for race day. Coach Sandra will break down the swim and discuss sighting, pacing, and bilateral breathing. 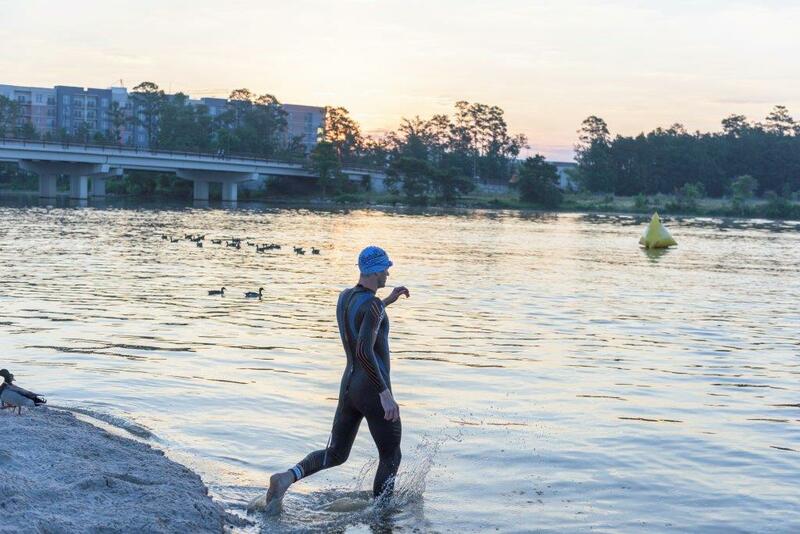 This course includes the Open Water Swim Day. Pre-registration is required. Register online. For more information regarding Open Water Swim Day or the First Timer’s Clinic, call 281-516-7348 or email recreation@thewoodlandstownship-tx.gov for more information.